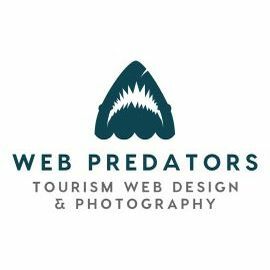 Tourism specialist web design and photography agency based in Cumbria. Established in 2007, we are a small company offering a personal service. 10% OFF web design and photography rates for Cumbria Tourism members. We are a small agency which allows us to offer a personal service where we come out to visit you to discuss the layout and structure of the website and to take any photographs. We will then build the site to your specifications and once it goes live we will come back to see you in order to give you some CMS training to enable you to make changes to your website content. A detailed training guide will also be provided. We pay special attention to search engine optimisation and all of our websites include unique page titles, descriptions and keywords, plus search engine friendly page names as standard. Where we are redesigning a website we will create search engine friendly 301 redirects in order to ensure any existing search engine rankings are transferred across to the new website. We offer a very competitively priced in-house photography service specifically to meet the needs of our tourism clients including Guest Houses, B&Bs, hotels and self-catering accommodation providers.